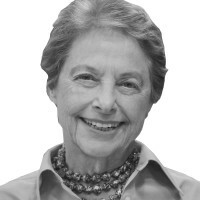 Mimi Sheraton is a pioneering food writer and former restaurant critic for Cue, the Village Voice, and the New York Times. Her writings on food and travel have appeared in Time, the New Yorker, Vanity Fair, Smithsonian, Vogue, Town & Country, New York magazine, and Food & Wine. She has written sixteen books, including The German Cookbook, that was reissued last year in a 50th anniversay edition and a memoir, Eating My Words: An Appetite for Life. Her book, The Whole World Loves Chicken Soup, won both the IACP and James Beard awards, and she won a James Beard journalism award for her article on the Four Seasons’ fortieth anniversary inVanity Fair. She was born in Brooklyn and is 70-years resident of Greenwich Village. Here latest book, “1,000 Foods to Eat Before You Die” was published in 2015.